Prolonging animal trapping can cause extensive damage to properties. Ignoring noises may put families, customers, or employees at potential risk of diseases. 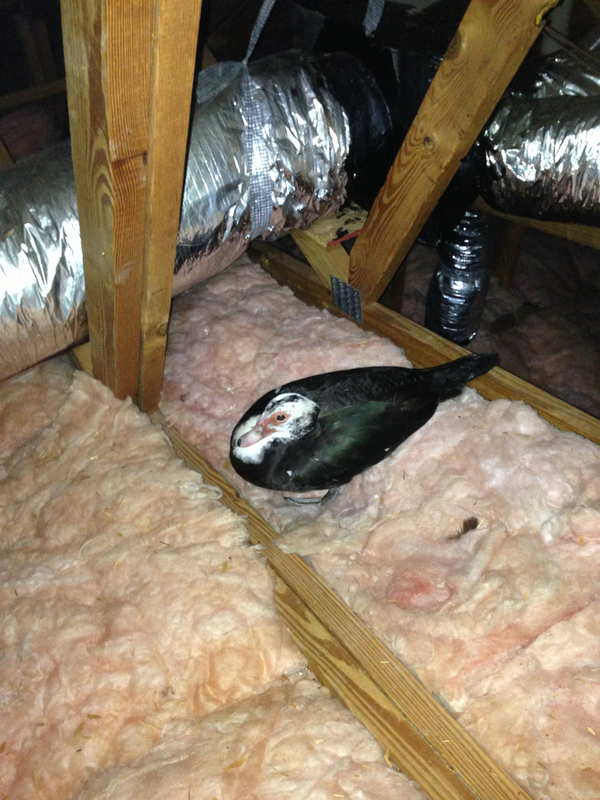 Insulation contamination is very common when wildlife decides to nest. Affordable Wildlife Removal can remove all contamination, complete a full attic restoration, and remove the contaminated waste. Restoring an attic can also assist in a clean and more energy efficient home/building. Check out Affordable Wildlife Removal’s Facebook Page to see more about what we are doing and learn more about attic damage! They can cause significant damage to your attic. The rats chew on electrical wires, duct work, and dry wall. The rodents will leave feces and urine throughout insulation, producing the terrible scent that is infamous with rats. Commonly, raccoons will nest in the insulation. Their nesting is common with cats; they will nest in a specific area of an attic, and urinate and defecate in another. The raccoon feces can contain roundworm as well. The damage in your attic can be extensive. More than likely when raccoons nest in an attic it will always require attic restoration. Squirrels will destroy your air conditioning duct work, rip apart electrical wiring, gnaw on plumbing, and ruin the dry wall. They leave their feces and urine in and throughout the insulation and in bad infestations will produce a strong and sometimes unbearable smell. Squirrel removal is essential to prevent costly damage in an attic. The most common duck that one will see in an attic are the Muscovy duck. The ducks will nest, urinate, and defecate everywhere. They are also commonly seen on the roofs of establishments urinating and defecating there as well. The amount of feces and urine can cause the risk of respiratory issues to rise. Opossums are definitely not as organized as our cute and furry friend the raccoon- they will urinate and leave feces everywhere. They do not cause much damage to an attic, the main concern when opossums have entered an attic are the health issues that they can create. Guano (feces) from bats is extremely dangerous. The disease they carry, histoplasmosis, can release fungal spores into the air, endangering any inhabitants of the infested establishment, and can lead to chronic illness and even death. It is common that once bats are in an attic, they can find their way into the home or building. They do not cause physical damage to an attic, the main concern are the health risks. Pigeons are more commonly found nesting in commercial buildings. They will not cause physical damage to drywall, or duct work, but they will ruin insulation with their feces. They will nest, and defecate throughout their roost- which is extremely dangerous to any inhabitants of the building because their feces can cause serious chronic illness and death.